If you’re looking to transform your home into something special during your next home renovation, turn to us for the best natural stone tile flooring in Little Rock, AR. Stone tile adds an unmatched level of beauty and elegance to your home, bringing a natural feel to any space while still holding up to all the spills, scuffs, and foot traffic that modern life can throw at it. With our help, you can get the gorgeous look you’ve always dreamed of having without needing to sacrifice ease of maintenance, durability, or longevity. Our flooring showroom has the largest selection of different stone tiles that are sure to suit any aesthetic you might have. With help from our expert contractors, you can even get the long-lasting natural stone tile floor installation you need to ensure that you get the most out of your stone tile investment. When you are in the market for name-brand stone tile that is installed exactly to your specifications, we are the company to trust. Stop by or get in touch with us today to discover more about the great deals we have on the best stone flooring products that the industry has to offer. Regardless of the type of stone you’re looking for, our showroom has come to be well-known and trusted for having anything you could possibly want. On top of our great selection, we offer all of our services with a friendly smile and superior customer service. Our team of friendly sales associates and in-house designers are more than happy to help you in any way they can, regardless of whether or not you know exactly what you want. Our staff is capable of helping you determine which of our selection of natural stone tile floors is right is right for your style, as well as which best suits your lifestyle needs in terms of durability and maintenance. Let a member of our design team help match the best floors possible for your particular needs. There are a few different materials out of which stone tile is made, each with its own specific properties and uses. For instance, granite tiles are known for their unmatched durability and resistance to spills and stains, making it ideal for kitchens and any other room that sees a lot of water, such as bathrooms. We recommend granite for homes that have pets or children, as it is a material that can hold up to anything your loved ones can throw at it. Best of all, it takes only a simple wipe to clean whatever liquid may be on the surface without ever leaving behind a stain. Marble tile, on the other hand, is the natural stone tile flooring of choice for those who want the most elegant flooring possible. While it isn’t quite as easy to maintain as granite, marble is durable and stain resistant, making it perfect for those who want a worry-free flooring experience. The final aspect of ensuring you have the perfect tile floors you want is the installation process. Do not trust the installation of your stone tile to just any contractor. Instead, rely on the team of experts that have the experience, knowledge, and tools necessary to get the job done just right. Our professionals will quickly and expertly install your floors so you can enjoy it for years to come. 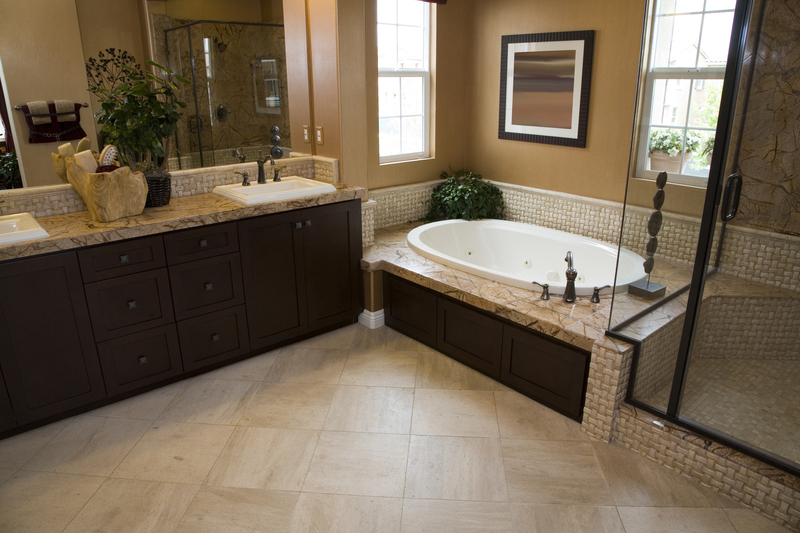 Contact us today to begin the process of finding the perfect stone tile flooring for your needs. We are proud to serve Little Rock, Arkansas, and the surrounding area.